Oxford University Press, USA, 9780199828074, 195pp. 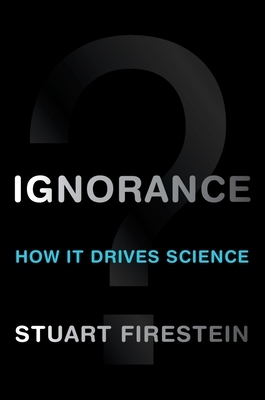 Knowledge is a big subject, says Stuart Firestein, but ignorance is a bigger one. And it is ignorance--not knowledge--that is the true engine of science. Most of us have a false impression of science as a surefire, deliberate, step-by-step method for finding things out and getting things done. In fact, says Firestein, more often than not, science is like looking for a black cat in a dark room, and there may not be a cat in the room. The process is more hit-or-miss than you might imagine, with much stumbling and groping after phantoms. But it is exactly this "not knowing," this puzzling over thorny questions or inexplicable data, that gets researchers into the lab early and keeps them there late, the thing that propels them, the very driving force of science. Firestein shows how scientists use ignorance to program their work, to identify what should be done, what the next steps are, and where they should concentrate their energies. And he includes a catalog of how scientists use ignorance, consciously or unconsciously--a remarkable range of approaches that includes looking for connections to other research, revisiting apparently settled questions, using small questions to get at big ones, and tackling a problem simply out of curiosity. The book concludes with four case histories--in cognitive psychology, theoretical physics, astronomy, and neuroscience--that provide a feel for the nuts and bolts of ignorance, the day-to-day battle that goes on in scientific laboratories and in scientific minds with questions that range from the quotidian to the profound. Turning the conventional idea about science on its head, Ignorance opens a new window on the true nature of research. It is a must- read for anyone curious about science. Stuart Firestein is Professor and Chair of the Department of Biological Sciences at Columbia University, where his highly popular course on ignorance invites working scientists to come talk to students each week about what they don't know. Dedicated to promoting science to a public audience, he serves as an advisor for the Alfred P. Sloan Foundation's program for the Public Understanding of Science and was awarded the 2011 Lenfest Distinguished Columbia Faculty Award for excellence in scholarship and teaching. Also, he was recently named an AAAS Fellow.